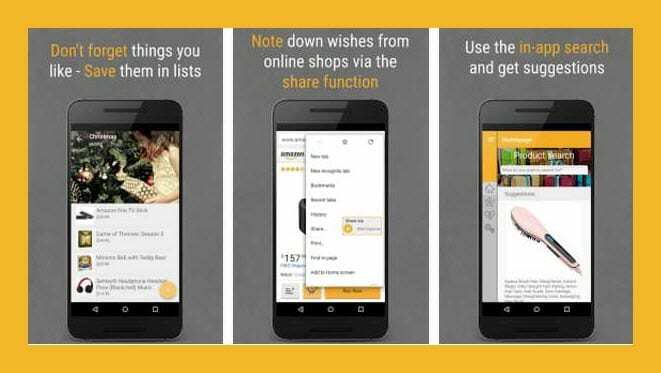 In this article we present free wishlist apps for you based on worldwide popularity. Have a look and choose any you like. Imagine the holidays are coming. What will be the first thing you think about? Yes, surely about what to give as a present for your beloved ones. It’s not so easy to make a choice and guess anyone’s wishes, is it? But wish list apps will help you out here. 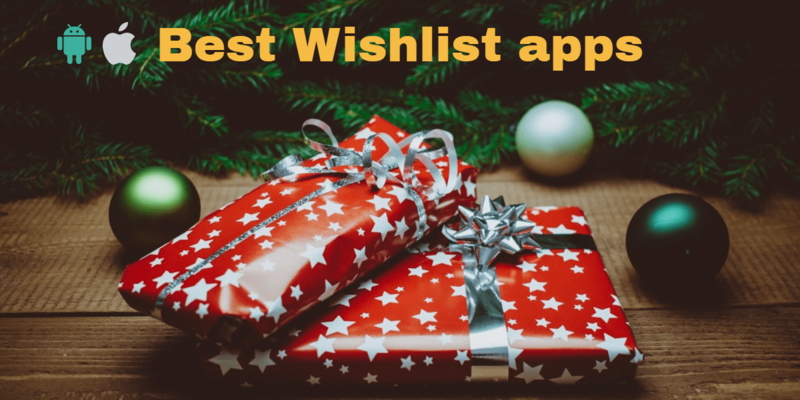 Wish list applications let users build lists of items that they need or want for special occasions, including weddings, birthdays, Christmas holidays, graduations, baby registries, housewarmings and other special events. WishMindr is a universal wish list application. Using it you can create wish lists for any occasions: birthdays, weddings, Christmas, anniversaries and any other holidays. Adding gifts is available from any site! 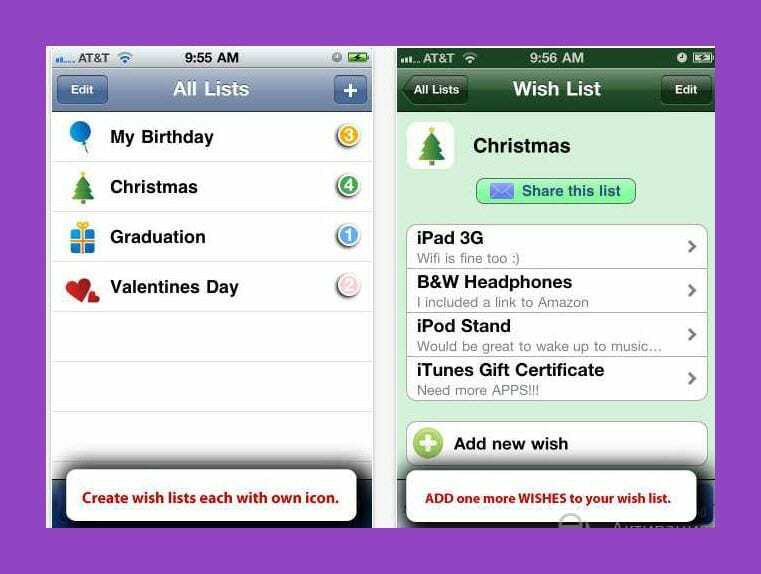 With WishMindr you are able to share your wish lists via text messages, Emails, Facebook, Twitter, Pinterest and more. When you recieve any item simply mark it as purchased. 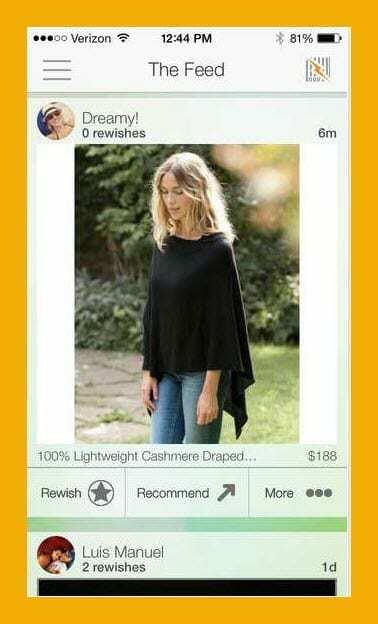 One more pleasant thing about this app is that you can use WishMindr as your personal shopping tool. All in all, this app is helpful for any occasion. It doesn’t matter if you want something small like an exquisite hairpin or cufflinks, WishMindr has everything! 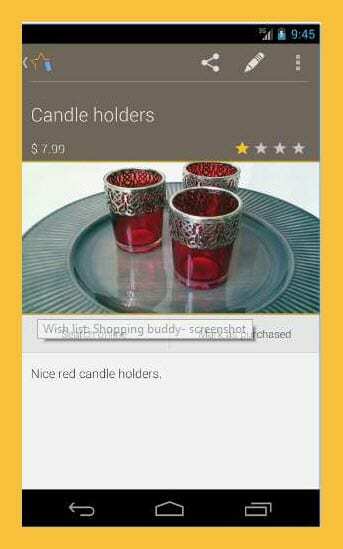 You will enjoy this perfect wish list app with an easy-to-use interface. 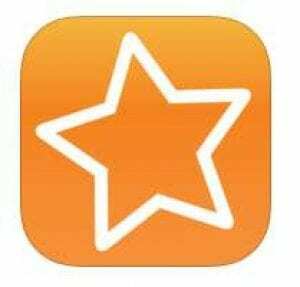 WishMindr is the top wish list app and has a lot of users’ positive reviews. 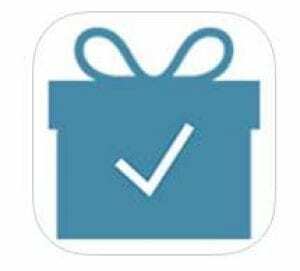 Using this application is an excellent way to keep track of your gifts for any special event. 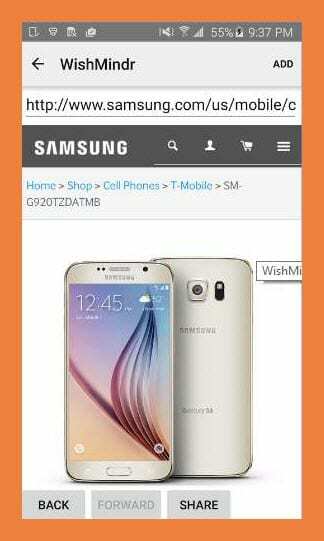 Wish list will become your personal companion which works amazingly! 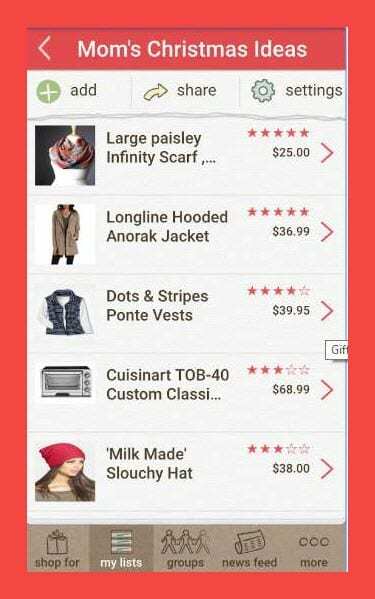 With the help of this app you will be able to have your wish list always with you. Manage all the items you want to buy by adding it to you wish list. Also Wish List is great for creating lists for such occasions as birthdays, Christmas and any other special events. 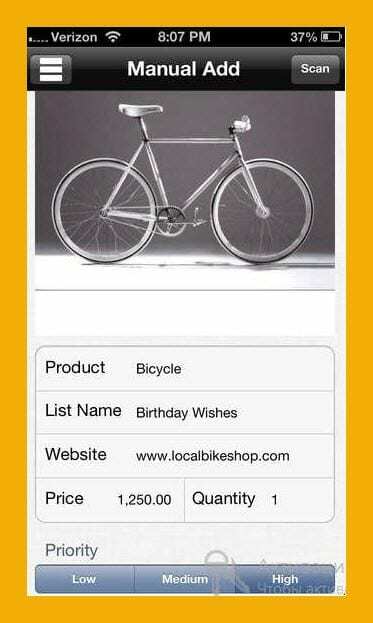 Gift list feature of Wish List allows you to mark items as gift ideas and share your lists with family and friends. 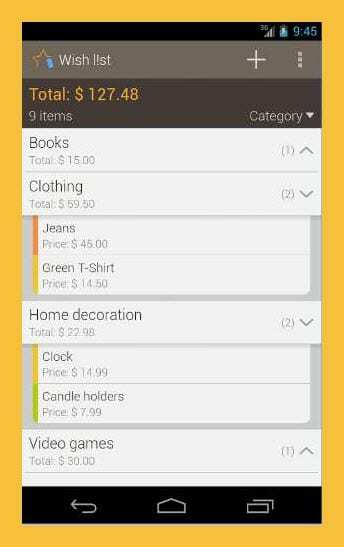 Wish List app can sort your items by categories, priority or price. You can also track your purchased items in the purchased list for overview of your spending’s in the past. Easy and fast application is worth trying! This application is a unique gift idea sharing service. 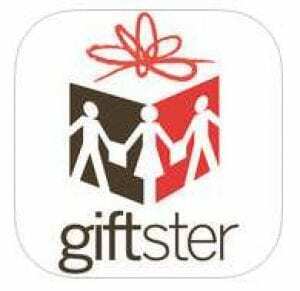 Gifster connects family and close friends around gift giving occasions. Just download it once and you will use it year after year. Get the gifts you want every time, with a family gift registry for any occasions like birthday, wedding, Christmas holidays, graduations, baby registries, housewarmings and so on. Your family members’ gift ideas go into Giftster and out comes a simpler way to give and get gifts that matter most… without anxiety. With the help of Gifster you can create private, group (shared only with groups) or public (for everyone to see) wish lists for different occasions and it doesn’t take even five minutes! Gifster saves time. You can invite your family members to join your private wish lists or you can use Giftster just for your own wish lists, and decide to share them later. In addition ranking gift ideas with a 5 star system is available here what helps choose the most wanted gift. 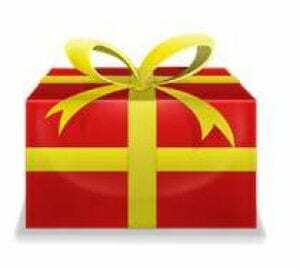 Gift ideas can be marked as reserved or purchased so others will not buy the same thing. Moreover, the list maker cannot see the status of items on their own lists. 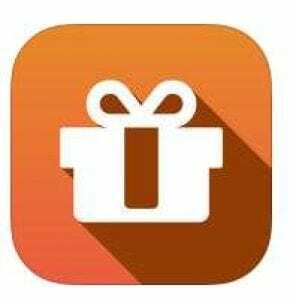 So Gifter is highly recommended app: spend money only on really desired or useful items and save your time without need to guess anymore! Fresh, brand new beautiful design of the app is s a joy to use and look at! Never give another emotionless gift card, impersonal gift basket, or depend on retailer recommendations again! The goal of Giftry is to turn gift giving opportunities into relationship building experiences. 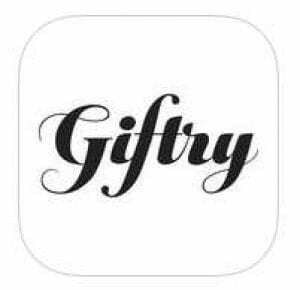 By using the Giftry app to create, store, and exchange gift ideas and wish lists, your circle of family and friends can show how much they care. Save your special events (birthday, anniversaries) so nobody forgets! 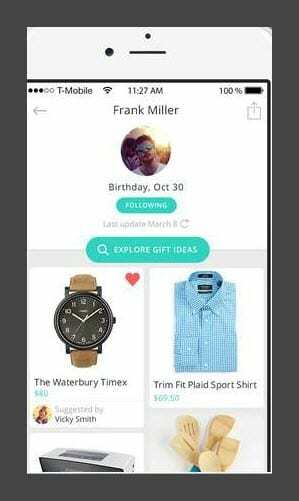 Explore wish lists of other users and see what other people want to get! 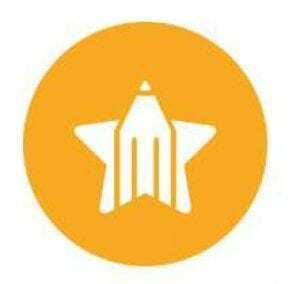 Giftry is a universal wish list application for you! Make gift shopping easier! With Giftry you’ll never give a bad gift again. Don’t believe us? Try it and make sure! MonkeyWish is presented as a revolutionary social wish list service. It allows your relatives and friends view your wishes and vice versa. You don’t have to ask for gifts or guess for you will get anymore! Gift giving is simplified and became fast, easy and comfortable. You can share your gift lists via Email, Facebook, and Twitter. MonkeyWish also provides members with cool lists based on your personality and interests. Keep Wishing. Keep Giving. Try MonkeyWish gift registry. RightGift.com is a great online wish list network. 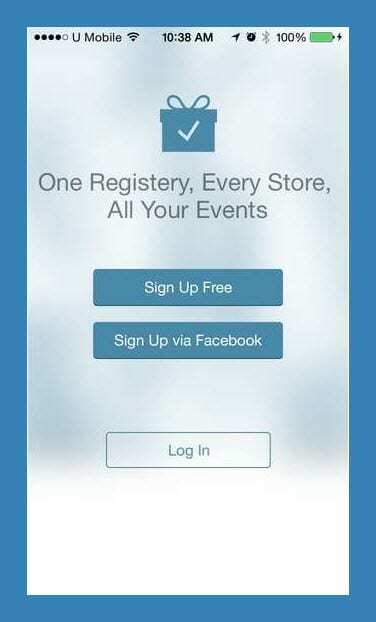 Users add items they want from ANY store or website to their own wishlists for ANY event. Creating a gift registry will be easy with RightGift! This application has the LARGEST product barcode datebas to give its users the most variety and the best experience possible when shopping or creating their personalized wish list. Scan items in-store and RightGift will return multiple store and price options to select from. You can shop for members of your family and friends from their wish lists using RightGift app. RightGift.com is a universal Wish List & Gift Registry. Don’t miss the chance to use it for FREE. Wish List app is a gift in itself! With this smart application you will forget about the awkward “what do you want?” phone call! 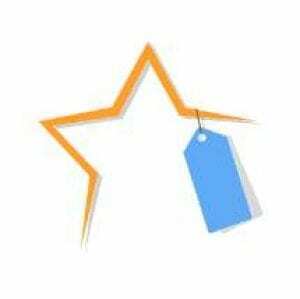 Wish List FREE let its users to know what their beloved persons really want. 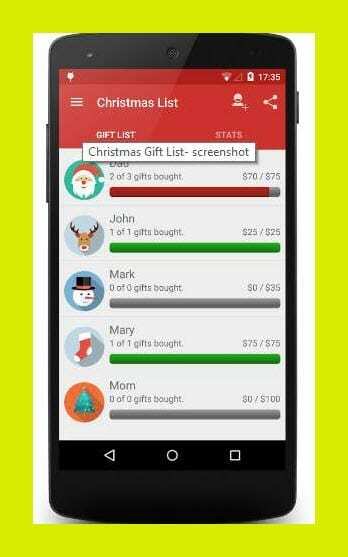 Users can record the items they want in wish list and share them with friends and family when the holidays come. Users browse the web to find the right product for adding it to their wish lists. To save the link to the item SAVE button should be tapped. 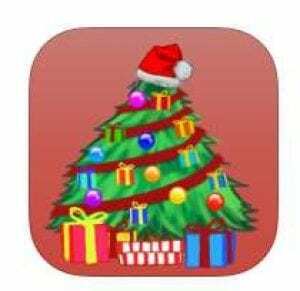 To increase the odds of getting wanted presents users SHARE their wish lists with others using Wish List FREE. Don’t let the holidays be a guessing game! Discover what you really want and share your wishes with loved ones. It’s all there for you in Wish List FREE. 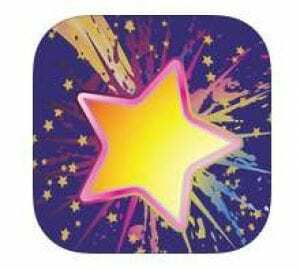 GiftBuster app is created to help you to make your wishes come through by entering them into GiftBuster. Your friends and family can’t read your minds! 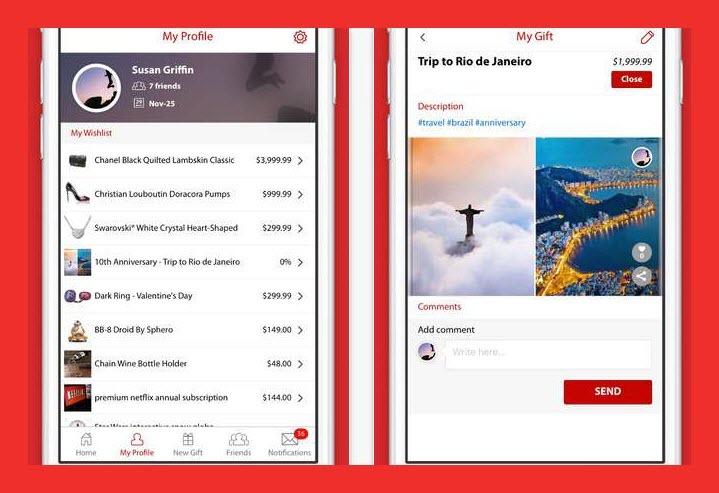 The application is the fun and easy way to share gift ideas that you want, need and dream about with friends and family. You can create and share your wish lists, upload photos, descriptions and places where to buy this very item. So you will not be disappointed with regifts or unwanted things. How to add items to wish list? There are birthday reminders and you will surely receive a notification when it is. You can view person’s wish list and select the perfect gift. Then click “Reserve” and set reservation date. The best thing here is that the list makers can’t see who and what was reserved on his/her list but others can. So no more double gifting! 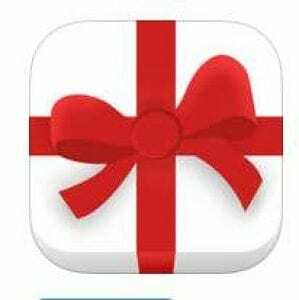 Gift It is an app which is fantastic, creative and imaginary! It is high ranked and has a huge amount of positive reviews of its users. 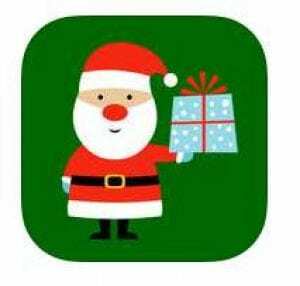 Gift It is a simple and fun Christmas shopping list app that will help you to organize and keep track of all the gifts for your family, friends, and loved ones this holiday season. It is like your personal assistant for all holiday organizations. “Gift It” is the essential must-have tool to prepare you for Christmas Day 2016. 2) By a color scale. Red means you still have some shopping to do. If it’s green then someone will be very happy this Christmas! With Gift It you haven’t to keep wish lists on bits of paper anymore which are constantly get lost or are not with you when you are out. Good little app will always be with you! Using Gift It you will keep your Christmas lists well organized. You can have a special list for each member of the family and for each friend. It is also available to create lists of activities you and your family/friend want to do during the season. The app has an easy to use and great focused design. It is so enjoyable to create wish lists, add gifts and so on with Gift It. Going to start planning your Christmas shopping just now! The Target Kids’ Wish List application is a tool easy for parents and fun for kids. It helps kids to create their own wish lists for birthday or Christmas, or any other holiday. 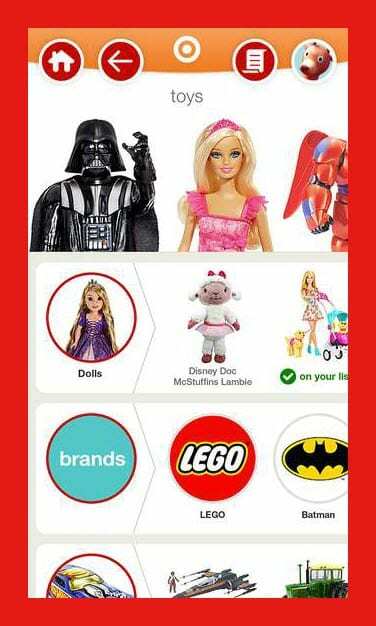 Parents download the app, then create a wish list for their kids and let them explore Target Kids’ Wish List in order to fill it with items they want. 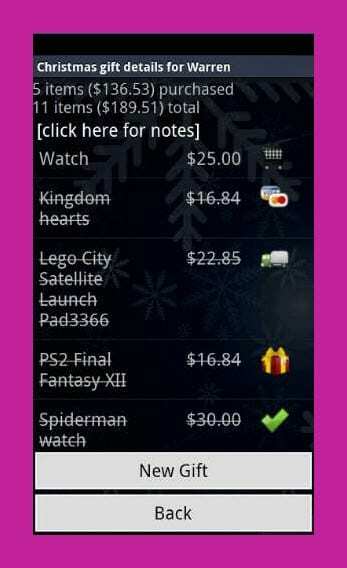 Parents can easily manage their kids wish lists, purchase items or share wish lists with friends and relatives. Parents can even track everyone’s purchases with password-protected Parent Mode without their kids knowing. 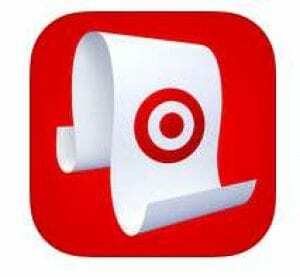 Your kids can explore Target Kids’ Wish List app while buiding their holiday wish list with fun. Let them choose one of seven characters to represent their wish list and explore all of Target’s toys, games, electronics and more. With the help of parents the item can be added to wish list by scanning. The Target Kids’ Wish List is very colourful and easy to understand. 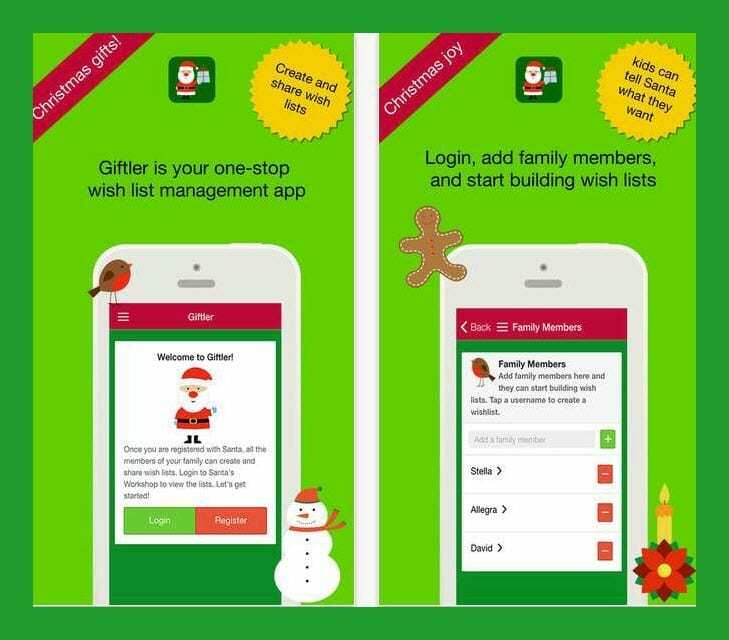 Giftler is a perfect app for gift giving, wish lists, present management, and more for big families at Christmas. It assists users in creating their wish lists. Each family member can register here, log in and add other family members. Even each child can login from his/her own device, choose his/her name and create a wish list of the things he/she dreams about for Christmas. He/she can take pictures of the item and add them to each line item. A password-protected ‘Santa’s Workshop’ area allows the house Santa Claus to view the wish lists with their photos and note what presents the jolly old elf will place under the tree for the holidays. Make Christmas dreams come true with Giftler! Santa’s Workshop allows wish list management. With Giftler, make sure everyone’s Christmas dreams come true! You have just found a modern and handy tool for creating your wish lists! It is MyWishBoard. The application is integrated with most popular social networks and allows you to share dreams and nice gift ideas with friends. Dream and create new wishes on-the-go while shopping, walking around or traveling! Try MyWishBoard and see how fun and easy dreaming can be! It is absolutely free! 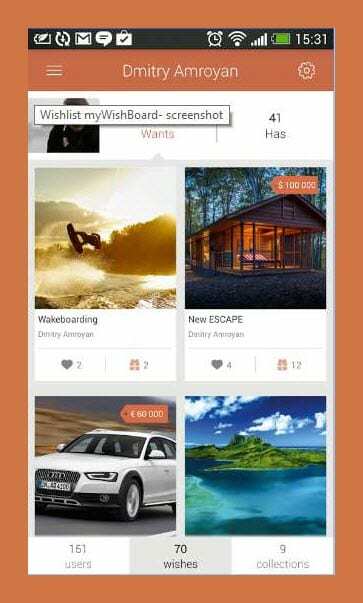 Wish Explorer is one of the most popular free wish list apps for Android devices. 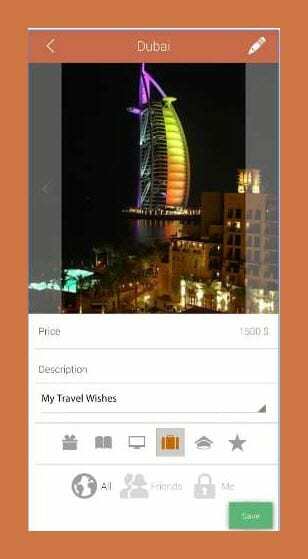 It allows users create and share wish lists for different special events. 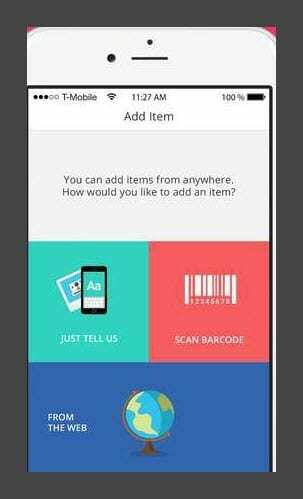 You can note down your wishes from local stores by scanning a barcode. By sharing your wishes, you can show your friends what you really like and help them find a great present for you. Likewise, you can use lists of your friends to find a present that will make them really happy. Do you want to make yourself and your friends happy? Then create and share a wish list for Christmas, your birthday, wedding, shopping and more! 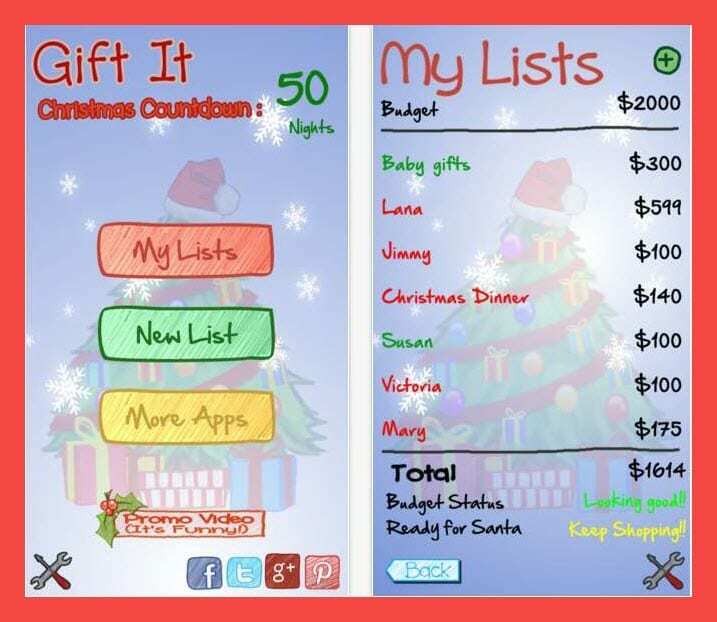 Christmas Gift List is the ultimate gift list organizer for Christmas gifts and shopping. 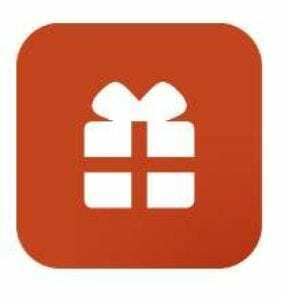 Track xmas gift ideas as you receive them by quickly entering them in the app. 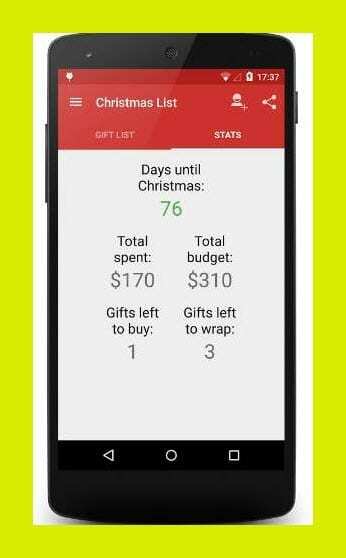 You can set a gift budget for each person and mark the gift as purchased as you do your shopping! You Christmas list will be protected by Password. You can share your lists via Email, Twitter, Facebook and other networks, add people to your wish lists, add or remove items for each person on your list. You also can control your budget for Christmas, providing sums per person and per gift. Each gift of your wish list can include a picture, a personalized note, and a link. Mark the gifts as purchased as you buy them. Download now and start recording gift ideas so you’re not caught at the last minute when Christmas arrives! 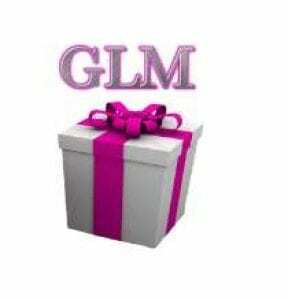 Gift List Manager (GLM) is useful all year round helping its users create wish lists not only for Xmas, but for birthdays, baby registry and more. 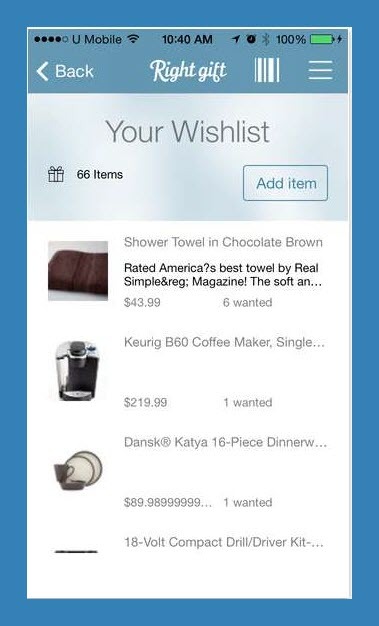 Create a wish list for any occasion and enter items for it by using a barcode. You can also take pictures of gifts and store them. Sharing your lists is available by using Email with your Gift List Manager. Here are no irritaiting advertising. Enjoy using GLM! Simple! It is exactly what you need. So it was an overview of the best free wish list application, that will help you in choosing presents for your family, friends and co-workers as well as creating your own ones. These applications are easy-to-use tools created to help you organize your wish lists and budget so you can spend less time buying presents for the ones you love and more time being presented with the ones you love! Use any of these wish list applications to improve your gift giving.